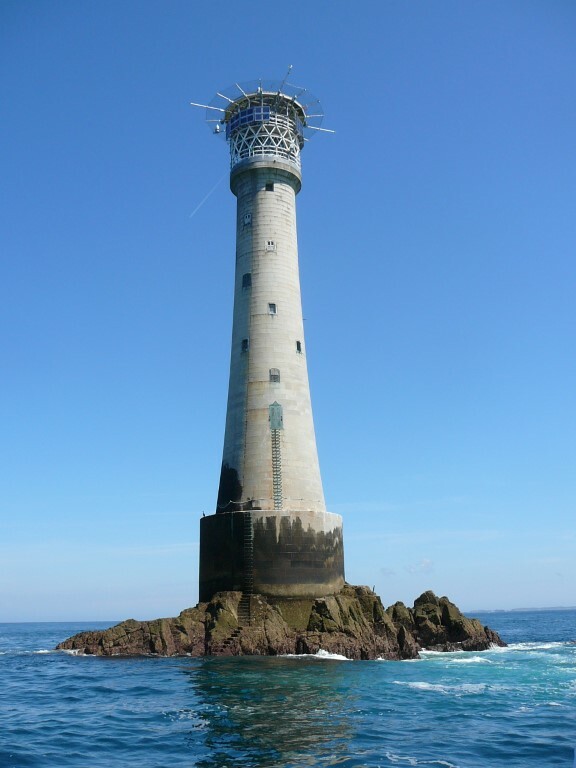 The Bishop Rock Lighthouse – a feat of Victorian engineering. My son Stewart and I were half through a cooked breakfast towards the end of a week long holiday exploring almost every corner of the Isles of Scilly on what had been almost an exceptionally warm and sunny week. Staying at a B&B in Old Town on St Mary’s, the main island I was expecting a phone call, and sure enough, half way through my bacon and egg the call came through. I had been chosen to do a radio interview as ‘guest of the week’ on Radio Scilly of which I still have a copy of the recording. The three minute interview to what is probably quite a small audience mostly centred on our experiences during our stay on Scilly and one of the questions asked by the interviewer was ‘Which was my favourite island?’ Now that was a hard one to answer as each island had its own unique character. For example, Tresco was a neat and tidy island and was run as a business like manner and almost like a National Trust property and famed for its gardens whereas other islands were more natural and seemed that it was much harder to eke out a living insomuch that each islander had several jobs. In the end I had to settle for St Agnes as my favorite island as it was not only the most southwesterly but also the wildest and more exposed to those Atlantic gales. I had planned our week carefully by visiting an island each day as the weather permitted and so St Agnes, Tresco, Bryher and St Martin took up four days which left two days to explore St Mary’s. The plan worked well with the first four days of almost perfect weather conditions of almost wall to wall sunshine before an Atlantic front made inroads in which we saw the other side of Scilly in rough weather. Even our ten mile walk around the coast of St Mary’s had to be curtailed due to driving rain and gales on the fifth day but we had a day in hand to complete this walk and anyway I wanted to explore some of the many archaeological remains in more depth. Bishop Rock Lighthouse. The day had dawned sunny and calm and just the weather for such a visit. 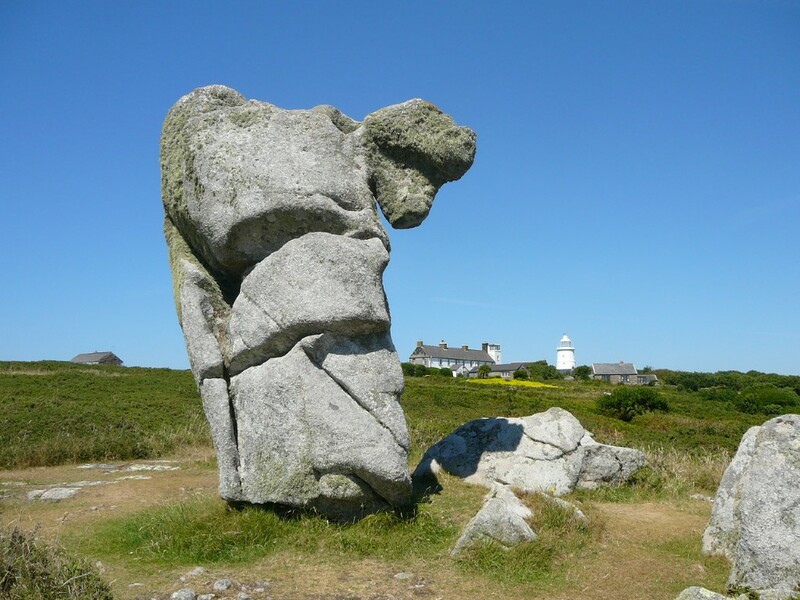 The Gilstone – one of the last scraps of land on the south western edge of The Scillies. It was scene of one of the worse naval disasters of the British Navy when in 1707 four ships commanded by Sir Cloudesley Shovell struck the rocks in this area and around 2000 lives were lost. We had to go for it and set off for the short walk into Hugh Town, the island capitol after breakfast to board the almost full boat going out to the ‘Bishop’. We were away early and soon heading out passing the small uninhabited island of Annet then skirting the Western Rocks with the captain providing a history of the wildlife and ship wrecks. The Bishop Rock Lighthouse was always on the horizon, a sentinel in the bright morning sunshine. Having seen countless seals, puffins and the odd dolphin, we now made for the Bishop. As we drew closer I was impressed by the sheer size of this amazing feat of Victorian engineering. The present lighthouse was completed in 1858 and was built without loss of life and is 161 feet tall. 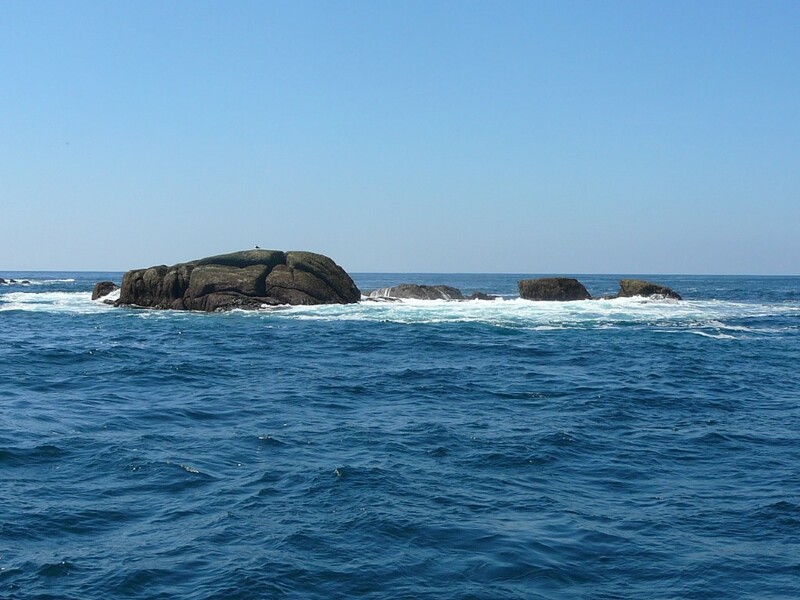 Even today, being calm and sunny, there was a three metre swell around the rock. 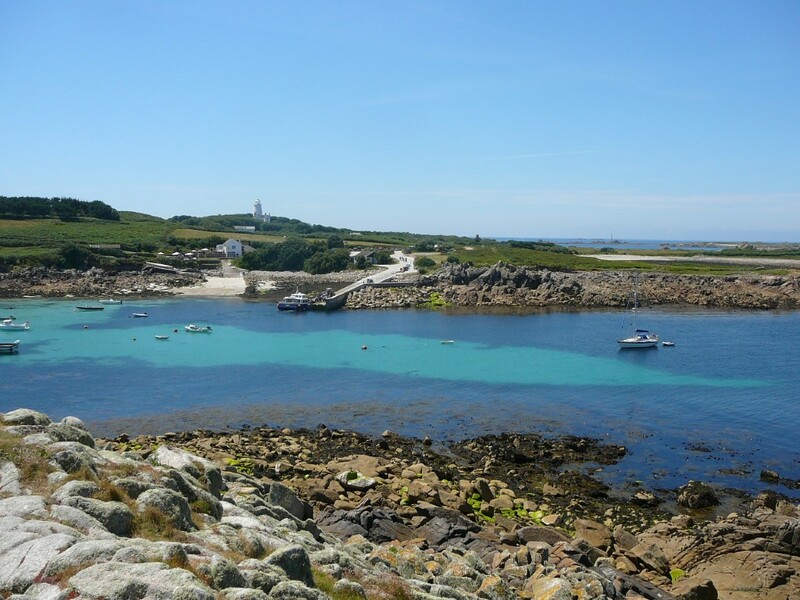 Having taken many photographs we set course for St Agnes and this would provide us with three hours to explore this small and most south westerly of the inhabited Isles of Scilly. Heading out to the tiny island of Gugh across the tidal sandbar from St Agnes. Lunch stop on Gugh. We were amazed by the intense strong sunlight on this day and a very quick way to get a tan. In very strong sunshine we disembarked on St Agnes prior to lunch time. 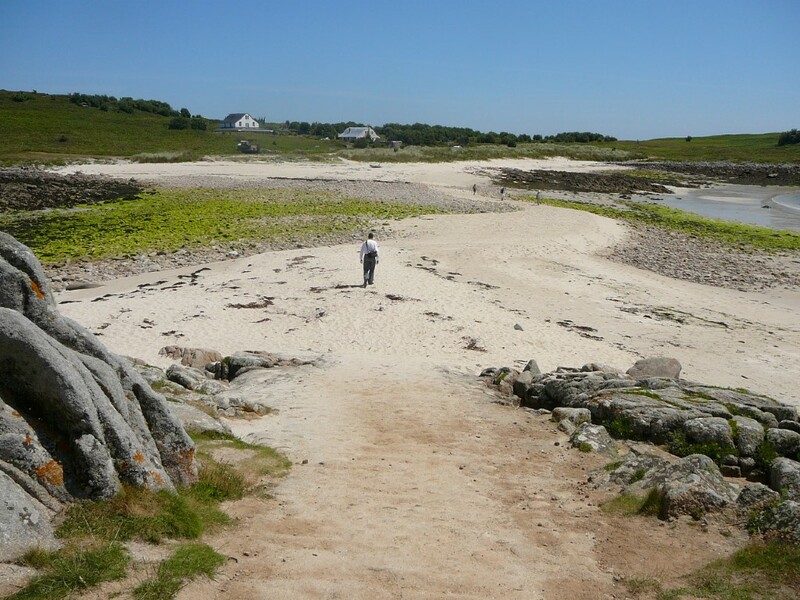 The neighbouring island of Gugh was still inked by the sand bar to St Agnes but we were told that the tide was coming in and by mid afternoon the sand bar would be covered. Stewart and I decided to head here first, and followed the narrow concrete road passing the popular Turk’s Head Pub to cross the sand bar. We walked around Gugh clockwise and on a rocky outcrop we stopped to have our picnic lunch. It was exceedingly bright with very strong sunlight and I had never known the light to be so strong. It also gave us a good tan by the end of the day. After lunch we continued our exploration of Gugh. There are two houses on the island and little else except for extensive areas of heather, low scrub and some pre-historical remains. The Nag’s Head. There are many strange rock formations on the island. This is weathered granite which have been exposed to all the elements for thousands of years. 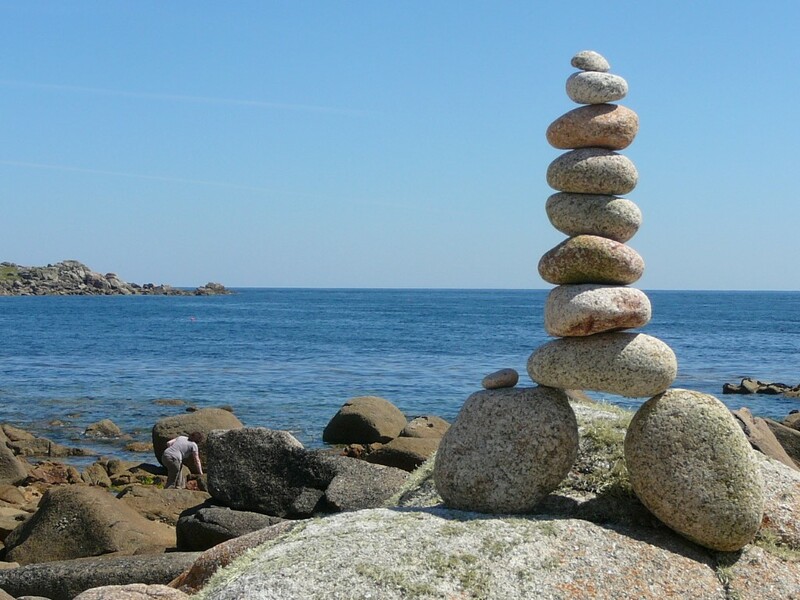 Pebble stacking seems to be a popular pastime on St Agnes. We saw hundreds of examples. A lazy afternoon by the small lake at Periglis on St Agnes. The historic whitewashed lighthouse dominates the island. Safely back across the tidal sand bar onto St Agnes we continued clockwise around the island. Paths were good as we headed to Wingletang Down at the southern end of the island. This area was more open with short cropped heather and many weird rock formations with fascinating names. These rocks are weathered granite and over millennium have been weathered into unusual shapes by the elements. The little beaches were good for building pebble towers of which I saw hundreds. A little off the path was a fascinating granite rock formation called the Nag’s Head. I made a short detour to photograph this. The ancient maze a little beyond around the coast was showing heavy signs of wear and tear. It wasn’t long before we reached Troy Town complete with its camp site. I would have imagined a bleak place in rough weather but today it was still and sunny. We ventured inside the island church at Lower Town beyond – a rather plain building with little interest. To the north, we walked beside Periglis, a large inlet before returning back to take the lane up to Middle Town, dominated by its gleaming white lighthouse. 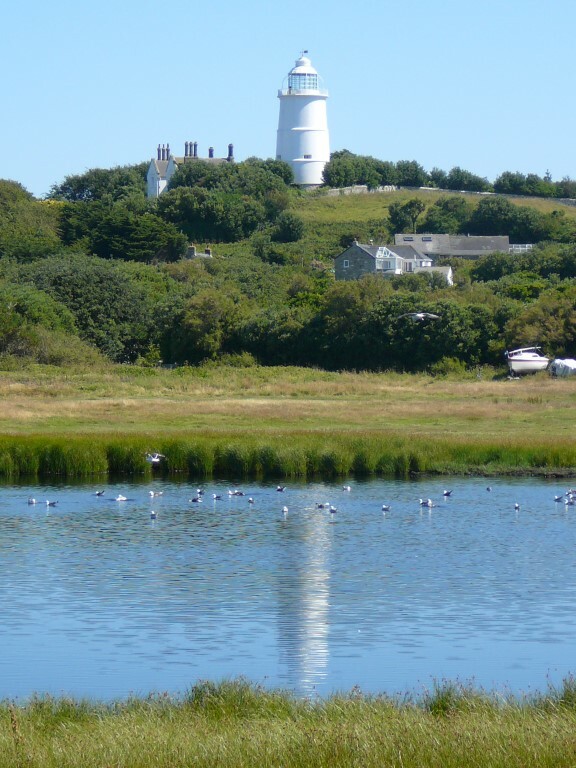 The lighthouse was one of the earliest in Britain but was still some five mile distance from Bishop Rock and was often too far away for ships to see before they foundered on the jagged rocks which surround the larger islands. A leisurely walk led us back down to the jetty. With some time to spare we headed to the Turk’s Head, Britain’s most south westerly pub for a cool drink in the beer garden before returning to the ferry to complete what had been a fairly magical day. 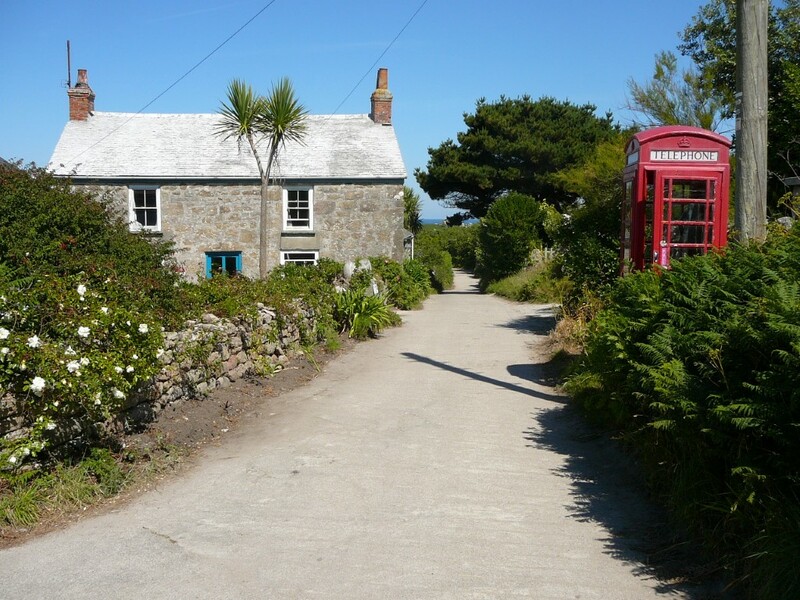 Rush hour on St Agnes – just another busy summer afternoon!